This salad is a fantastic side for a barbecue or house party. It’s a substantial side and it’s tasty enough to please even the ‘meatatarians’ among us. And best of all, most of it can be done in advance. Peel and chop the carrots and sweet potato into roughly 2cm cubes. Peel the onion and cut it into 1cm wedges. 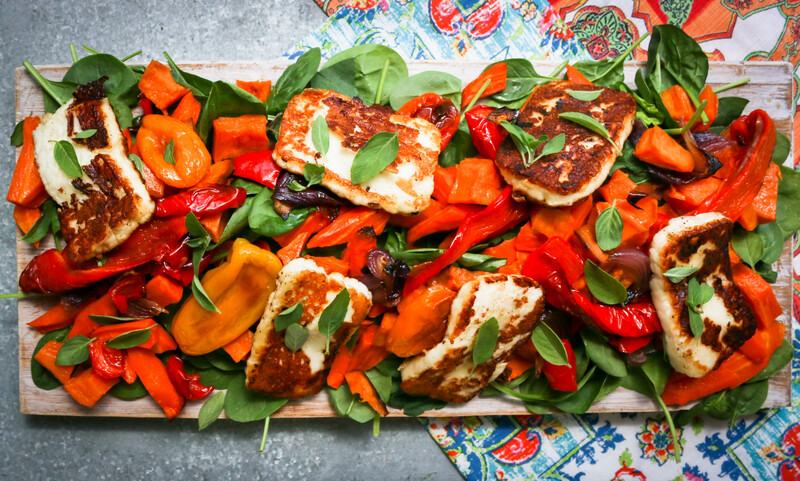 Place the sweet potato and carrot on one baking tray and pop the baby capsicum on separate tray. Scatter the onion over the capsicum and generously drizzle both trays with olive oil and a good sprinkle of sea salt. Roast the vegetables for 25-35 minutes, until golden and tender. Set aside to cool (I always do these the day before). Scatter a large platter with washed baby spinach leaves. Top with roasted vegetables. 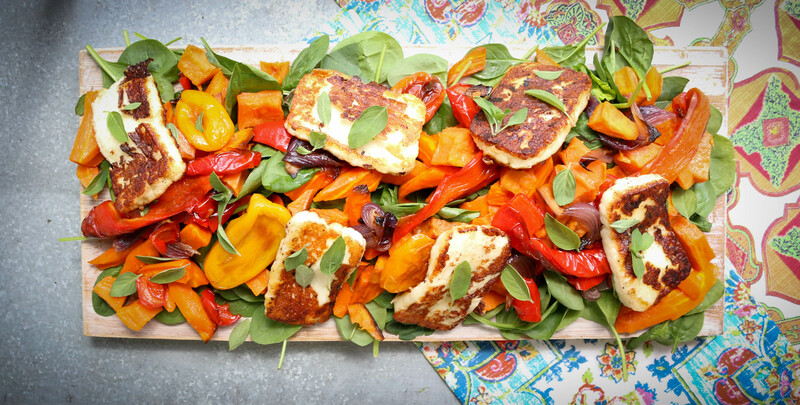 Cook halloumi in a preheated non stick pan for around 3-5 minutes each side until golden. 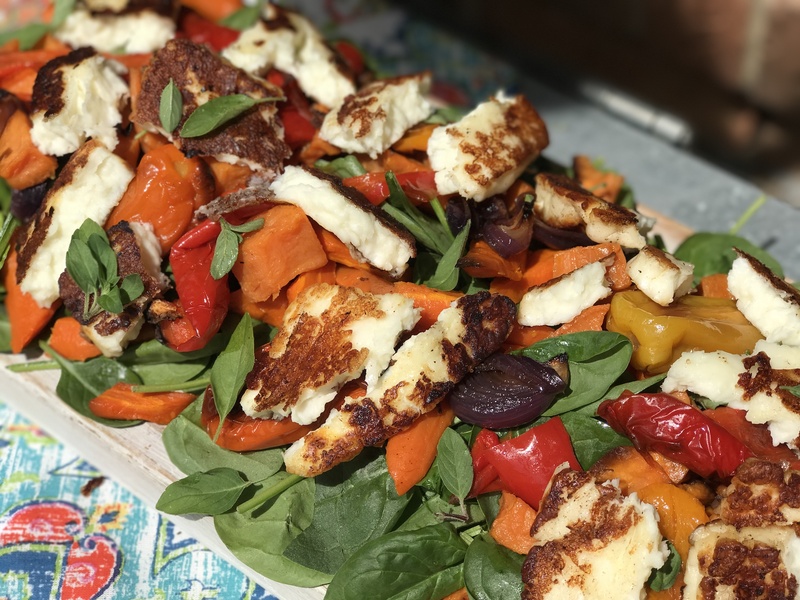 Tear the halloumi and layer it on top of the roasted vegetables. Scatter the basil over the platter and you’re done! I hardly ever dress this salad but if you love a dressing I would just add a squeeze of lemon juice and a drizzle of olive oil.